Prime building location - 1.5 lots for the price of one! One full .52 acre lot w/ the adjoining .26 acre lot included as a bonus. Build in the center & have plenty of buffer space on each side. 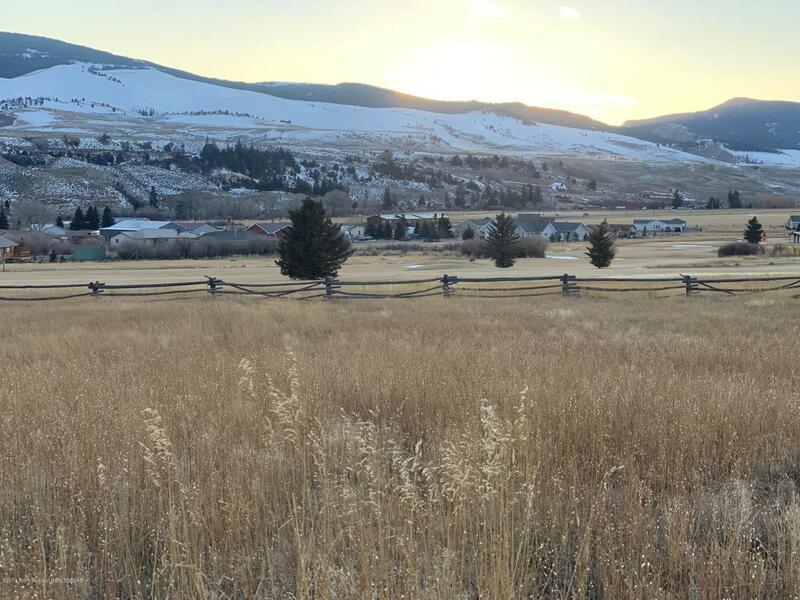 Located on the west end of Dubois overlooking & adjoining the Antelope Hills Golf Course this lot offers fantastic views of the Wind River Mountains & the colorful hills of the Absaroka Range. Town water & sewer taps available & fiber optic internet at the road. Located only 1.5 hours from Jackson Hole offering easy commercial flights from many major airports. Plan your vacation or permanent residence now and enjoy summer and winter adventure in this quaint cowboy town.